The New Energy packed expo! This year’s ENEX is now over. 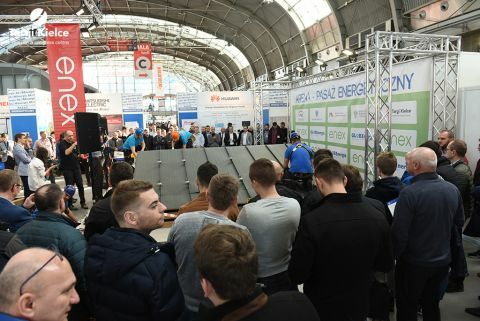 The ENEX / ENEX New Energy expos which bring together the energy and power engineering business sector ended in Targi Kielce.84 companies from four home and abroad took part in the event, there were representatives of Poland, Germany, the Czech Republic and China. The Kielce exhibition centre has again hosted entrepreneurs who represent the broadly defined energy and power engineering business sector. The 22nd International Power Industry Fair Enex and the 17th Fair of Renewable Sources of Energy ENEX New Energy this year have proven to be a record-breaking edition - the exhibition hosted over 6,000 professional visitors!